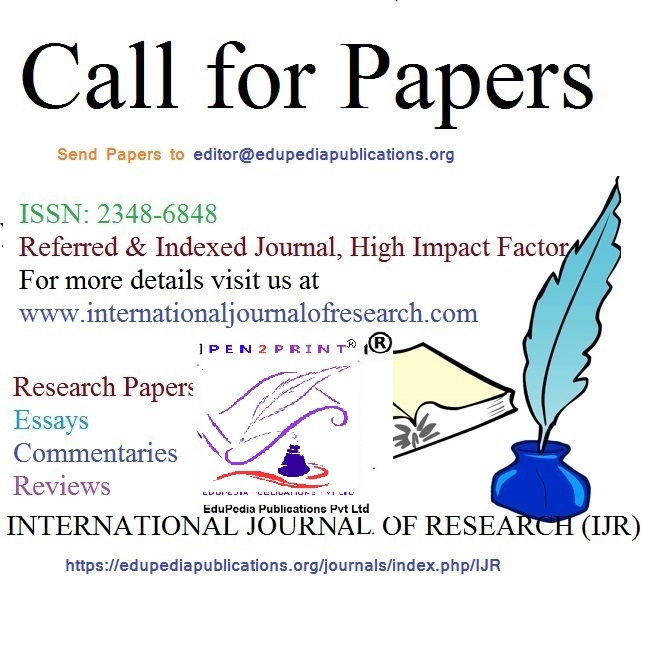 International Journal of Research (IJR) invites you to submit your manuscript in all areas of Science, Technology, Management, Social Science and Literature presented in the English Language to her journal to be published in her April-May 2017 issue. The scope of articles for this journal includes case studies, theoretical and empirically based research. All manuscript shall be peer reviewed and selection will be based on the strength of quality, originality, and contribution to knowledge. The Journal stresses on academic excellence, research rigor, knowledge dissemination and collaborative scholarly efforts. IJR editorial board makes objective and quick decision on each manuscript and informs the corresponding author within two days of submission. If the editorial board accepts the paper, it will be published in the next available issue. Publications are made monthly (one volume per year) by Edupedia Publications Pvt Ltd under imprint of PEN2PRINT. We are fully committed to providingunrestricted access to all journals as soon they are published. 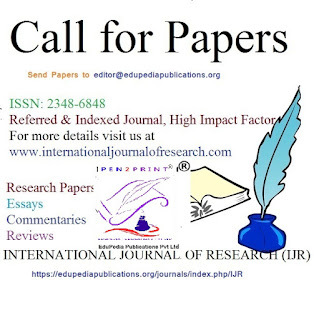 Kindly support this initiative by publishing your papers in this journal. We strongly believe that our journal will help to develop your own professional career.